Lots of albums come informative booklets. Some come with fold-out posters. Here’s one that comes with the desiccated remains of a human being. 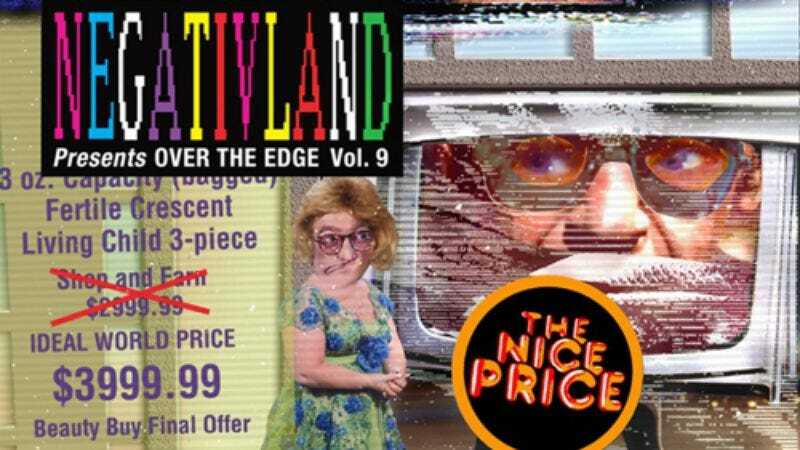 Experimental music group Negativland has weathered an unlikely number of unrelated deaths among its former members, with Ian Allen dying in January 2015, former lead vocalist Don Joyce shuffling off after him in July 2015, and founding member Richard Lyons completing the heavenly power trio in April 2016. As sort of a wink at that sudden uptick in mortality, the band has decided to include “approximately two grams” of Joyce’s cremated remains with copies of its new album Over The Edge Vol. 9: The Chopping Channel, NPR reports. Over The Edge Vol. 9: The Chopping Channel (as well as the granulated corpus of Don Joyce, “while supplies last”) will be available October 21.